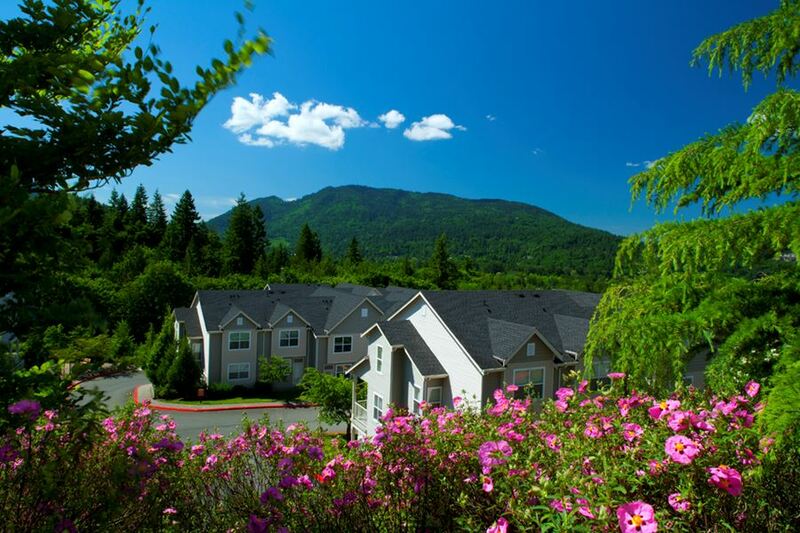 Welcome to The Timbers at Issaquah Ridge, a premier apartment community located in the heart of Issaquah, surrounded by beautiful scenery. The Timbers features generous sized flats & townhomes with large windows, 9 ft. ceilings & mountain views. Management has gone way downhill. Unresponsive and generally uncaring. I am very happy here I would recommend it. It is a good place to call home, the only thing that could improve would be the parking situation. Spot Many rats surrounding the garbage dumpster and making their way in to apartments and car parking. ItÃ¢ÂÂs a medical hazard and should be reported to the health dept. Don't know anyone in the area. Not likely to happen. But were it to happen, I would tell them to have a look. It would be dependent on financial means as the apartments are costly. We enjoy the quiet neighborhood vibe, with our building mostly being professionals and families around our age. The rental prices are fairly competitive with other apartments in the area, and the spaciousness of the units is unparalleled. We think other couples and small families like ours would love living here! Would not recommend for dog owners. I would still recommend this place but with a note to expect higher utility bills. I like the location. the staff are helpful and friendly. Thank you so much for taking the time to provide us feedback on your living experience. Also thank you for your kind words regarding the staff, we enjoy having you here! I hope you have a wonderful weekend. Definitely would! Great price for the area, fun community, and positive staff. Love the timbers. Thank you for taking the time to provide us feedback on your experience! We enjoy having you here and thank you so much for choosing Timbers as your home. Hope you have a wonderful week! The kitchen equipment, refrigerators, sink and doors are little old. We had to raise many maintenance requests because of them. Also the the wooden frame outside kitchen area is messy and still not cleaned up. Apart from these, we always had a positive feeling about this home and we really like staying here. Thanks for quick turnaround for most of our maintenance requests. Thank you for taking the time to provide us feedback on your experience! We enjoy having you here and thank you so much for choosing Timbers as your home. Upon following up with you, we have confirmed that your outdoor patio has been completed. Hope you have a wonderful day! Apartment's rental costs fluctuate like flights ticket, therefore not fair. The apartment business do not care about keeping good payers, that aim to stay longer and take care of the property as if it was their own,but rather, apartment business only care about searching for higher payers. That's a business, its fine. Apartment's cannot (never) be called home by the nature of this business. I would recommend for a friend if I see the cost is fair at the time, but would not recommend by knowing they can raise the rent as much as they want and only inform the renter about that in the last month of the contract. Having short time to arrange a move out. Its like a trap and all the apartment business do that. Then I would rather recommend my friends to rent from a property owner instead. Thank you taking the time to provide us feedback on your experience. I noticed that some of your concerns are regarding hearing your neighbors, if there is anything happening during quiet hours please let us know so we can address it with the surrounding units. If you are interested, we can also go over information regarding other units if you have thought of transferring. Once you get your renewal letter please let us know if you have any questions or concerns and we will be happy to review things with you. I cannot recommend this apartment because of the condition of the apartment and our experiences with the office personnel. Thank you so much for taking the time to provide us feedback on your living experience. I am sorry to hear that we have not met your expectations during your stay here at The Timbers. We are always looking for ways we can improve our service and if you would like to meet in person to go over any concerns, please let us know so we can set an appointment. If you have any current work orders that need to be completed, please let us know so we can input a service request for you and we will get you taken care of.